Flooding, the costliest and most common disaster in the United States, leaves no part of the country untouched: from nor’easters along the coast of Maine, to king tides in Florida, to overflowing rivers in Nebraska, to mudslides in California. 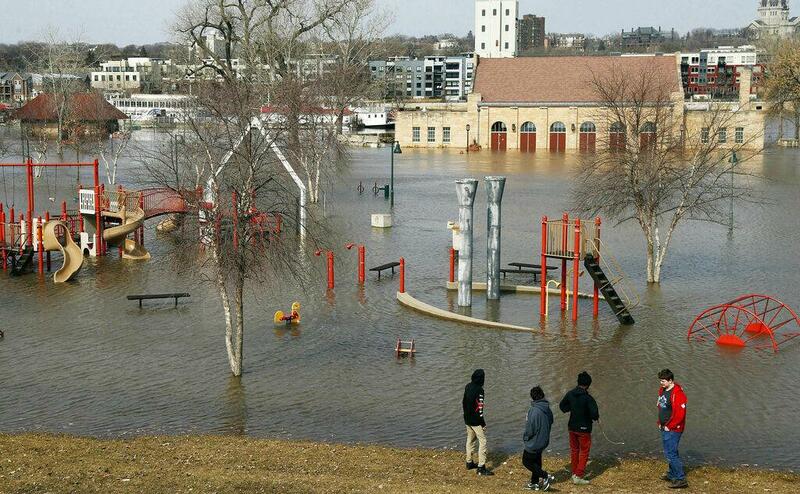 After a “bomb cyclone” swamped the Midwest earlier last month, the National Oceanic and Atmospheric Administration warned that this spring might be “an unprecedented flood season,” putting 200 million Americans at risk. Images of entire cities underwater, boats floating down interstates and bridges washed away capture the public’s attention. Despite the frequency of floods, dangerous myths persist, shaping how we prepare and respond to them. Here are five. But disasters are created by the interaction of a hazard and our communities. It may be natural for heavy rainfall or snowmelt to cause rivers to overflow their banks, but the actual destruction that results — damaged infrastructure, destroyed homes, ruined crops, washed-away topsoil — is a result of human behavior. Human activities destroy natural flood protection and put more people in harm’s way. When forests are cut down and bayous paved over to make way for development, it exacerbates a community’s overall flood risk.